Other Email reviews by real, verified users. Find unbiased ratings on user satisfaction, features, and price based on the most reviews available anywhere. Front is reinventing email for the way teams work. With new workflows, efficient collaboration, and all their communication channels in one place, nearly 5,000 businesses rely on their Front inbox to accomplish more as a team. Try Front for free at frontapp.com. Interseller helps sales teams and recruiters get in touch with anyone via email. With one click you can find anyone's email address and send them initial emails and follow-ups automatically. Interseller also syncs with most well-known CRM's and ATS's like Salesforce and Bullhorn to keep data up-to-date. Snovio is an all-in-one platform that allows marketers, sales reps, headhunters and other professionals to generate leads on websites, social channels, and databases, enrich and verify them, and send smart email drip campaigns based on the recipient's behavior. Recovery Toolbox for Outlook designed for repairing of corrupted *.pst and *.ost files of Microsoft Outlook. Shift is the workstation for productive people. Trusted by hundreds of thousands of productivity enthusiasts around the world, Shift streamlines your workflows so you can get things done more efficiently. Tired of logging in and out of multiple accounts, Shift users enjoy single-click access to over 700 of the Webs most popular applications, extensions, mail accounts, and cloud services. The stensul platform enables non-technical marketers to create fully responsive, on-brand emails in minutes—without a designer, developer or agency. We don't send emails, we sit in front of (and integrate with) your current ESP. Outlook OST viewer is a freeware application software to view entire emails from OST file at the downtime of Exchange Server. User can view unreadable Outlook OST emails on offline with entire email objects and successfully migrate all emails into PDF file also. Knak is an enterprise email creation platform that helps marketers streamline the process of creating emails. Knak is fully integrated with Marketo and Eloqua and helps thousands of marketers make better emails every single day. Maildrop provides an easy way to copy emails from Mail, Entourage or Outlook 2011 into Salesforce.com. Xobni automatically finds all the people with whom you've ever exchanged emails, calls, or SMS messages. It instantly provides a full view of each contact, complete with their photo, job title, company details, and email history — as well as updates from Facebook and Twitter. Mailbutler is an all-in-one productivity tool that integrates seamlessly into Gmail and Apple Mail. The lightweight plugin offers an extensive suite of time-saving tools, helping over 100k professionals everyday to simplify their email routine and to finally balance work and life: schedule your emails for later, snooze unimportant messages, get notified when an email is opened, insert templates and snippets, create professional email signatures…and so much more. Ideal for both personal and business emails, users are able to keep track and leverage their outbound communication, reach out to contacts confidently every time an email is sent. Mailbutler also brings teams together with its powerful Team features: share email signatures, templates, delegate tasks and collaborate on notes -- all without leaving the inbox. Its versatile tools simplify daily email routine for everyone, empower collaboration and knowledge sharing, helping professionals and teams manage emails flexibly and stress-free. Unroll.Me is an email management tool to manage and organize inbox. K-9 is an opensource email client based on the Email application shipped with the initial release of Android. K-9 is focused on making it easy to chew through large volumes of email. Aryson PST Recovery is one of the most efficient Outlook PST Repair Tools that is capable of recovering not just corrupted data but also has the ability to restore deleted emails. After the recovery process, users are allowed to save the data in multiple output formats. It is an ideal recovery solution for all kinds of PST file created by several Outlook versions including 2016. Backed up with a strong algorithm, the tool scans all the mailbox items present in PST file & recover them in order. If No Reply is an email automation tool that works on Gmail, receive inbound and outbond sales direct from inbox, drip campaigns for new signups via API and sent all email from Gmail like normal. ActiveInbox allows you to use Gmail as a task manager and clear your inbox efficiently by turning work emails into tasks and clearing them away - so you’ll never again forget to do something important. We give you powerful new tools to manage your emails more productively from withing Gmail. •	Quickly turn important emails into tasks with due dates, so you never forget anything again. •	Clear out your inbox without losing track of anything. •	Build stronger relationships by being in complete control of your emails and never forgetting someone or something. If you find tasks coming into your inbox, or you spend your time chasing people to find out how things are progressing, ActiveInbox is the ideal way to stay in control entirely within Gmail. ActiveInbox is for you if: •	Your work is driven from email (Especially if you're already working on tasks in Gmail) •	You love Getting Things Done® (ActiveInbox is heavily influenced by GTD®… in fact it used to be called GTDGmail!) •	You want simplicity (There's no new tool to learn and maintain… it works where you do, simply turbo-charging standard Gmail - No more duplicating information into a separate task manager.) We have a strong and vocal community who contribute constantly through our buzzing forum to help develop and improve the product with us. Mail merge software which sends batches of personalized emails with personalized PDF attachments. Personalized data can be merged into Word, PowerPoint, Excel or HTML templates. Highly configurable to allow the rows in the data source to represent emails, attachments in an email, pages in an attachment or line items in an attachment. Schedule outbound emails and follow-ups automatically. Seventh Sense is a sales and marketing software that allows Sales and marketing professionals generate data about their prospective and existing customers every day to analyze that data to increase sales, increase marketing engagement and brand awareness, minimize bad customer experiences and lost revenue caused by sales personnel attrition, improve efficiency and overall morale. Shared Contacts for Gmail is a simple solution for sharing contact groups with any Gmail or Google Apps user. It is Wietse Venema's mail server that started life at IBM research as an alternative to the widely-used Sendmail program. Now at Google, Wietse continues to support Postfix. Email List Validation specializes in providing technology to promote email best practices and improve deliverability. Aid4Mail is the Swiss army knife of email conversion tools. Its expertise covers three main tasks: email migration, email discovery, and email archiving. Our customers choose Aid4Mail™ for Windows when they need to migrate email accounts quickly and reliably, when they’re under pressure to process email data for litigation purposes, and when they can’t afford to risk losing or compromising email data. DataNumen Outlook Drive Recovery (DODR) recovers Outlook emails and other objects from the drives or disks. Guerrilla Mail offers disposable temporary email addresses. Outlook Drag & Drop to Browser is an Outlook addin designed to allow users to enable the drag and drop functionality to drag Outlook attachments and emails to their browser. RealTime Email brings email relevance to a higher order by enabling marketers to respond to each recipient's constantly shifting personal context, in real-time. Boxbe is an integrated email helper enabling Gmail, Yahoo and AOL users to prioritize and reduce email overload. Discover how IBM Verse offers business email with analytics and collaboration to help you have a more productive workday Get more done Stop managing your email and start managing your work. IBM Verse brings forward the messages, meetings and actions you need to focus on. Right now. Cut through the clutter See your calendar at all times and access key contacts in a click. See if a colleague has something for you—or needs something from you. Review an attachment and reply. All without leaving your email. Collaborate from your inbox Post content to social networks and send instant messages. Set up or join online meetings and share files on the cloud. Take actions on content and conversations—all from the IBM Verse interface. Stay connected on the move Pick up where you left off from your desktop on your iOS or Android mobile device with the IBM Verse app. Display meetings, events and email without launching the app with the widget. 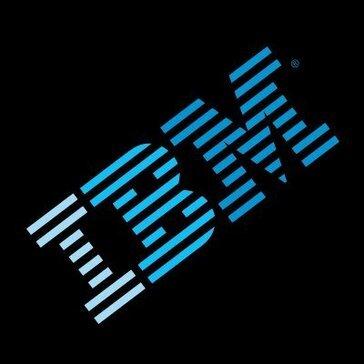 Buy what you need now, add as you grow Buy IBM Verse stand-alone or as part of IBM Connections™ Cloud to expand flexibly and affordably. Integration and extensibility features help you make IBM Verse work with your existing IT investments. Mailinator is an email system where one can use any inbox they want. Mailstrom is an email add-on designed to unlock the patterns hidden in users inbox in order to reveal the fastest path to Inbox Zero. Missive is a team collaboration app for emails and chat, each email thread becomes a conversation and then invite colleagues, chat in this conversation and even live edit an email draft together. ReplyUp is an email tool that sends friendly follow-up emails until they get answered. Superhuman is an email management tool. Behind.email is a reverse email search solution. Minimize the risks of managing email by solving archiving, continuity, and security needs with EMS fully integrated suite of on-demand services. With EMS, upgrades are automated, maintenance is eliminated and the broadest enterprise requirements for scalability, security, integration, and data privacy are met. FLOW-e is a web app designed to transform any Gmail or Office 365 inbox into a visual email workflow. Foundation for Emails is the responsive HTML email framework. Kernel for Outlook PST Repair Software. Kernel for Outlook PST Repair helps repair corrupted MS Outlook Data files (PST), and restore its messages including the deleted ones. Inbound and outbound email security solutions for internet infrastructure providers. myTemp.email offers temporary email addresses to be used on untrusted websites. Parserr turns incoming emails into useful data to use in various other 3rd party systems. Hi there! Can I help you find the best Other Email solutions?